Notes:UK issue vinyl album. Mega rare prog folk private press LP. Tracklisting on separate sheet. 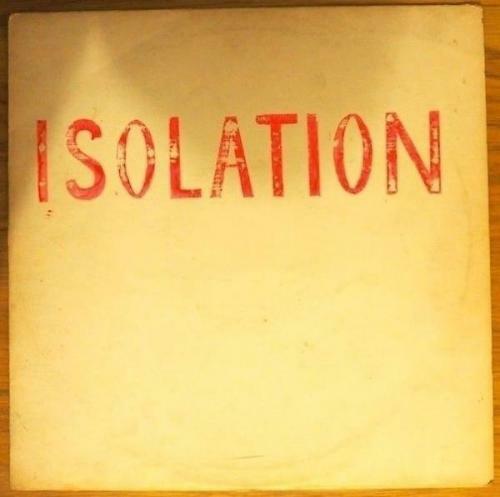 Isolation are one of the most obscure UK folk acts. Released as a micro-private edition in 1973 (on the Riverside label), their unique album is a loner folk wonder, hinting sometimes at jazzy psych climates. Additional notes:All records are shipped in a sturdy mailer with cardboard stiffeners and plastic sleeve.Discounted postage costs available up to 3 records. MINT: No scuffs, scratches, blotches, stains, labels, writing, tears or splits. Simply perfect. NEAR MINT: A Record that may have one or two tiny,minor flaws such as light paper scuffs from sliding in and out of the sleeves that do not affectplay. EXCELLENT: A Record has been handled and played either very littleor very carefully. The vinyl may have lost some but not all of it'soriginal lustre or have a slight scratch that doesn't affect play. VERY GOOD: A Record that displays visible signs of handling and playing such as loss of vinyl lustre, light surface scratches, groove wear and spindle trails. A VG record may look like it will have some audible surface noise when it is played, although anynoise should not overwhelm the music or ruin the listening experience. GOOD: The Record is well played, with any number of defects such as complete loss of surface sheen,obvious surface noise, etc.